Our ambition is to improve the quality of policing for children and young people by acknowledging their differences, recognising their vulnerabilities and meeting their needs. 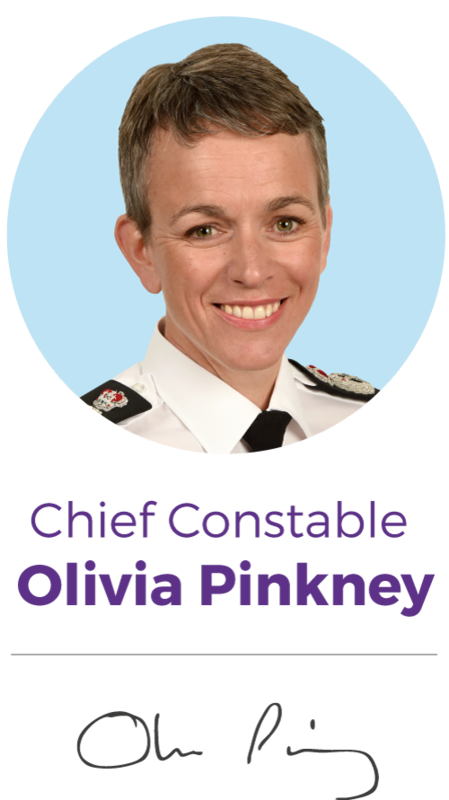 I am delighted to be the National Police Chiefs’ Council portfolio lead for the policing of children and young people. Youth crime continues to fall but too many young people are still becoming victims and suffering harm. It is essential that we work, alone and with partners, to intervene early and prevent harm to children and young people. Recognising their vulnerability is an important part of this work. A core role for policing is to protect the vulnerable in our society. All forces need to better serve those who are vulnerable through age – it will make a difference to all children and young people across the country. Children and young people are not “mini-adults” and the better our policing for them is now, the less they may need us in the future. Every interaction leaves a mark and we need to think carefully about what sort of mark that is. In our time of increasingly prioritised policing effort, this strategy will help forces focus on what is essential and what works. It is a complex area of policing and one that we often struggle to get right. We’re pleased to bring you this strategy, which was endorsed by the National Police Chiefs’ Council in April 2015. We commissioned an intensive piece of discovery work to help us find out from young people how they saw the future of engaging with the police. This report shares the findings and the plans for the future. Hampshire Constabulary have developed a local strategy to align with the principles of the NPCC National Strategy for the Policing of Children & Young People. Hampshire police consulted with young people about their rights and the law in response to national data revealing that young people were under-represented in areas such as reporting crime or making complaints. Their views informed areas for consideration including how to access clear and credible details of their lawful rights and police processes; they wanted to know what happens, when, how, where and what police processes mean for them as minors. This resulted in the development of our Youth Charter and Sub-Charters to outline what young people can expect from the police, and give a clearer explanation about police processes, the law and their rights. The charter and six sub-charters were co-developed with young people to ensure the content is presented and written in a way that will help them understand what their rights are, and what to expect from specific encounters with the police. Advice for adults and for young people.